Death and despair for everybody! I have this weird relationship with Steam sales. The large seasonal sales offer so many games that I struggle to find anything of interest. But the smaller scale sales? I can't stop myself from falling for them over and over and over again, no matter how large my backlog gets. 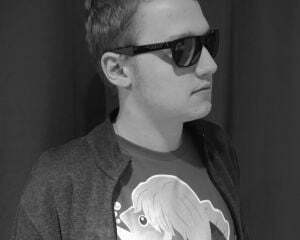 The newest Spike Chunsoft sale this weekend is no exception, let me tell you. The Zero Escape series for 40-50% off. The Danganronpa series for 50-60% off. Steins;Gate 0 for 33% off. PixelJunk Monsters 2 for 40-50% off. Fire Pro Wrestling World for 20% off. Mystery Chronicle: One Way Heroics for 90% off. Conception II: Children of the Seven Stars for 70% off. As far as I'm concerned, the visual novel offering is the biggest draw here. Zero Escape's mystery narrative, and the literal puzzles themselves, shouldn't be missed by fans of point & click games. Danganronpa's an interesting twist on the murder mystery formula, where you get to befriend both potential victims and culprits between every case. Finally, while Steins;Gate doesn't have much gameplay on offer, the character-driven science-fiction tragedy is a tale that I keep finding myself returning to over the years. 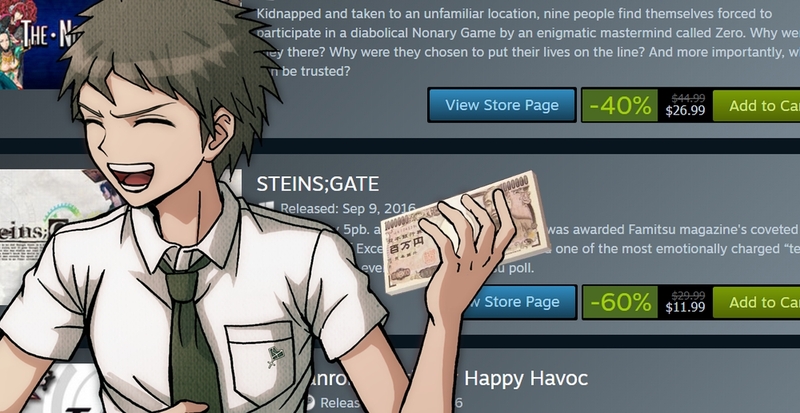 The Spike Chunsoft sale is live now and runs until August 20.